Because freshly roasted coffee shouldn't be "underrated". 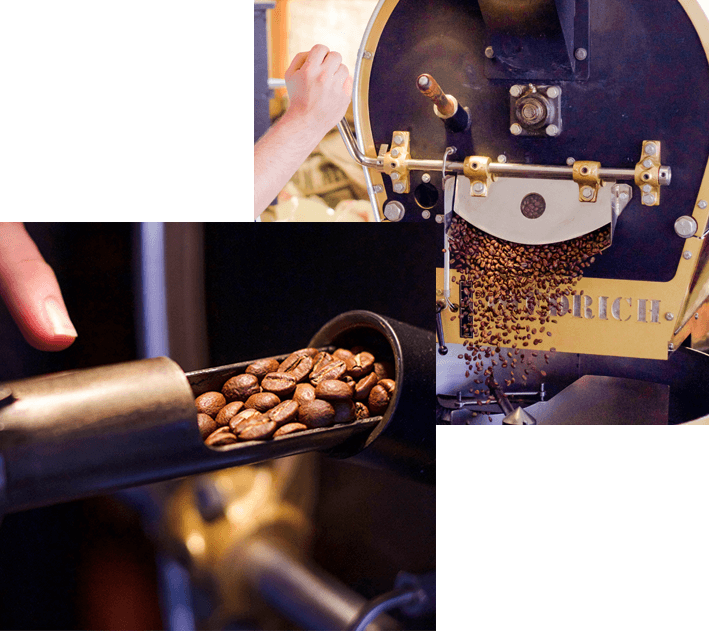 At Radina’s Coffeehouse & Roastery we are dedicated to providing fresh, hand-crafted coffees that are roasted to their peak flavor. Why? Because fresh roasted coffee tastes better. It is really that simple. Roasting activates over 800 volatile compounds that affect the flavor of the coffee. After roasting, these flavor components begin to break down and thus roasted coffee has a very short shelf life. Regardless of how it is packaged, roasted coffee should be enjoyed within 14 days of roasting. Large scale roasters and cafes cannot follow this 14 day guideline. The time it takes to move the coffee from the roaster to the customer is just too long-shipping alone can take a week. Since this delay occurs with any coffee not locally roasted, our commitment to quality demands that we roast our own coffee. At Radina’s, we don’t subscribe to the style of roasting common on the West Coast. Out there coffee is roasted so dark that all that can be tasted is the roast. Here at Radina’s we roast each coffee to the point that optimizes its complexity, but not so dark as to destroy the unique characteristics of its growing region. We start by purchasing green beans from discriminating importers who help us select high-quality coffees from around the world. Like grapes for wine, coffee grown in different regions of the world has distinct flavor characteristics. Teasing out these distinct characteristics is a subtle art practiced by artisan roasters-each growing region will have different roast profiles. 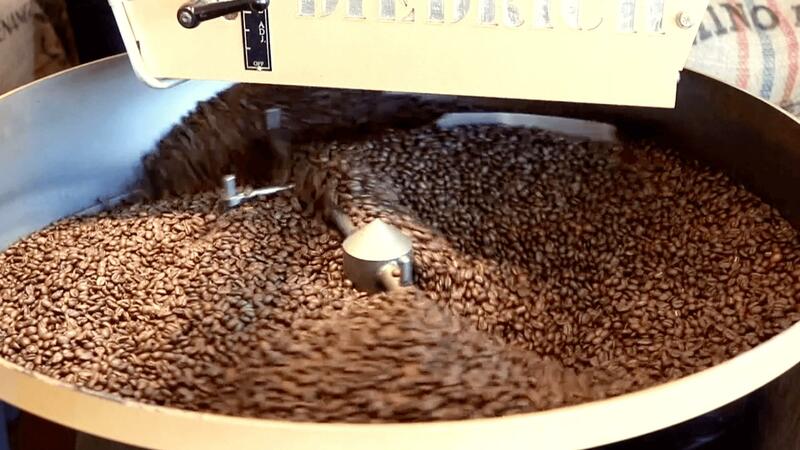 The roasting process is a complex fusion of science and art. The amount of heat, the speed at which the bean absorbs heat, the density and moisture content of the bean all affect the flavor of the roasted coffee. All of these variables are controlled, or at least influenced by, the person roasting the coffee. Coffee flavors are duplicated by roasting the beans identically each roast. This is called the roast profile. This is our lightest roast characterized by chestnut brown beans with no surface oil. This is the degree of roast that best brings out the flavor characteristics of the coffees growing region. Only about 50% of the sugars have caramelized, and since the non-caramelized sugars are sweeter than the high caramelization of darker roasts, the coffee is more complex. This is our medium roast coffee characterized by dark brown beans with just a hint of surface oil. The flavor of the roast is more prevalent, the coffee is more balanced, and has a fuller finish. This is a fairly dark roast characterized by dark brown beans completely coated with oil. The oil is liberated by the high temperature of the darker roast which fractures the beans cell structure. The distinctive flavors of the coffees origin are eclipsed by the highly caramelized sugars, or roast flavor. This is our darkest roast, characterized by almost black beans shimmering with oil. The dark roast has caramelized almost all of the beans sugars, and the bean itself is beginning to carbonize and lose mass. At this point the oils, soluble solids, and aromatic compounds are starting to be burned out of the coffee. The resulting cup has the flavor attributes of the roast, without the complexity of the beans origins.